The rapper, who recently suggest slavery was a choice, declared his adoration of President Trump and has been tweeting prolifically, was absent from the annual ball that sees celebs squeeze into their finest attire. 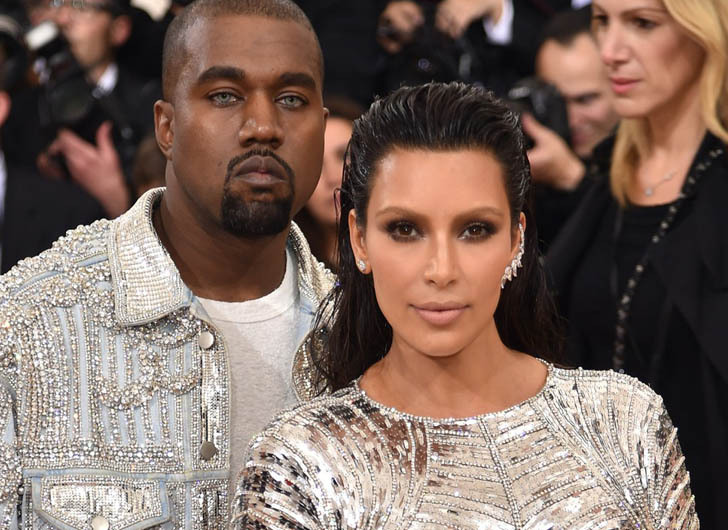 However, Kim was quick to let everyone know exactly why her ‘busy’ husband was missing in action by sharing a photo Kanye tweeted of Kim at the Met declaring how hot he thought she looked with a series of flame emojis. One Kardashian-Jenner sister who did show up at the Met Gala with her beau in tow was little sister Kylie, alongside boyfriend Travis Scott. The new parents made their first red carpet appearance together, and Kylie’s first since welcoming baby Stormi. Wearing a gorgeous Alexander Wang gown to the “Heavenly Bodies: Fashion and the Catholic Imagination” themed Gala, Kylie finished the look with mirrored sunglasses and Chopard diamond earrings. Travis complimented the look with a military-style black suit with belted detailing.